With her younger sister, Suzy, Tabitha Church fled her home in Chicago one autumn night, running away from an engagement that was doomed to become a loveless marriage if she didn’t do something about it. They arrived in the small town of Ogden, Utah with nothing but the dresses on their backs and a fair amount of hopefulness. Unfortunately, Suzy also arrived with a terrible illness that she contracted during their travels. Desperate for money and shelter, the girls make an abandoned stable their temporary new home. While her sister rests during the day, Tabitha works hard to scrounge for food, taking whatever she can from some of the neighboring farms when no one is looking. One day, she’s nearly caught by a farm hand and manages to escape, but not without the handsome young man getting a good look at her. Soon, a kindly general store owner offers her some assistance, and before long, the sisters have a new place to stay in a nice inn in exchange for Tabitha pitching in to help run the place. 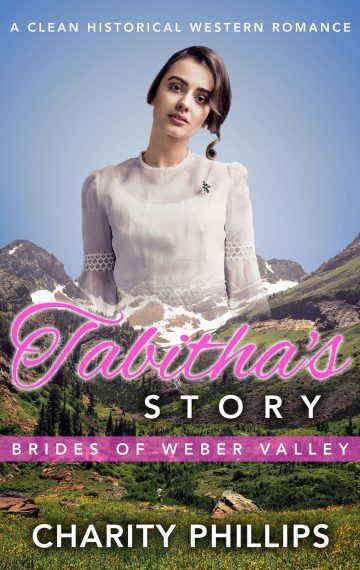 It would appear the world is looking up for Tabitha, until she realizes the owners of their new residence also own the very farm that she was caught stealing from. To make matters worse, Neil, the handsome farm hand that caught her stealing apples, is given the task to drive her into town daily and they begin to take a liking to each other. Will the chemistry between Neil and Tabitha bloom, or will her past deeds be too egregious for him to forgive?